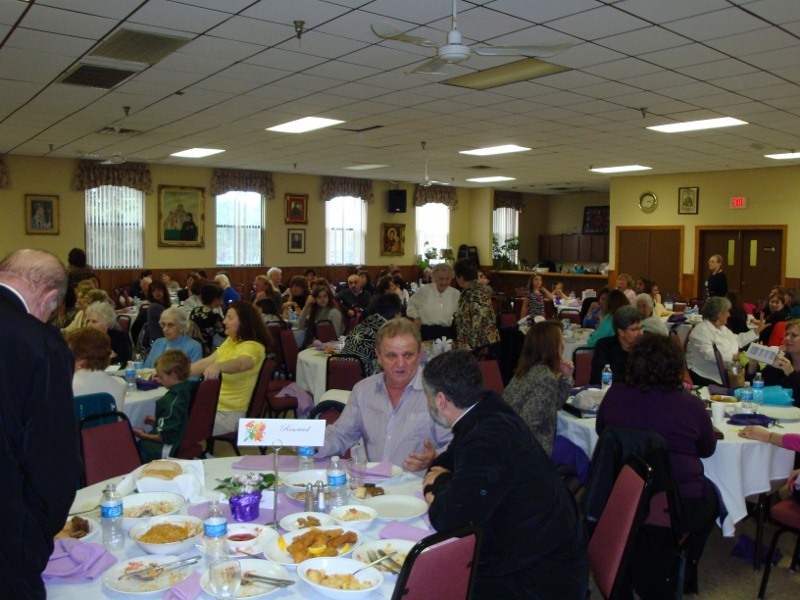 Grayslake, IL - ​The 2012 Camp Gracanica Kick-off Luncheon was held Saturday, March 24th at the The Most Holy Mother of God Monastery in Grayslake, Illinois. Indiana’s St. George Kolo of East Chicagoand the St. George Kolo of Schererville hosted the event. To help raise money for our campers a Bake Sale, Raffles, and a Silent Auction, consisting ofmany beautiful baskets and memorabilia, took place throughout the afternoon. A delicious lentenmeal was prepared for all the guests. The guests also enjoyed the many door prizes which were awarded throughout the day. ​The 2012 Camp Gracanica season is just around the corner and words cannot describe how thankful we are to all of our fellow sisters for their continued support for our children. For years, Camp Gracanica has been gathering children to teach them about the Holy Orthodox faith and our Serbian heritage, as well as, creating life-long friendships. Supporting camp is one of the greatest and rewarding missions that our Kolos have! We need to preserve and nurture our youth and make sure that our children are on the right path! ​We were honored to have His Grace Bishop Longin with us at the luncheon who greeted us and expressed his gratitude to all of our Kolos for their serious commitment and dedication to our Holy Orthodox Church. Additionally, His Grace Bishop Longin has always supported our children and themission of our summer camp program. More importantly, the campers always look forward to his visits and receiving his blessings. ​Our parish priest from St. George in Schererville, Prota Dobrivoje Milunovic, introduced the clergy and the members of the Diocesan Councilwho were in attendance. By the way, Proto and his own children attend camp regularly. Archimandrite Thomas Kazich, Camp Director and the Director of Religious Education for our Diocese, spoke about his role in our Camp Gracanica and reminded everyone present that all of the camp forms are now on-line,www.campgracanica.com. Father Tom has given much of his love and devotion for our camp and we thank him wholeheartedly! 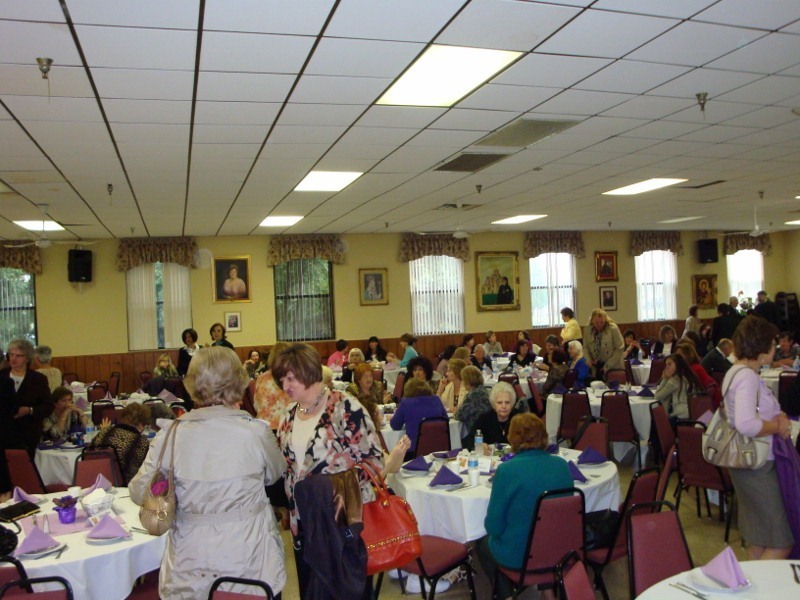 ​Mira Andjelkovich, Federation President of Serbian Sisters Circles of the Serbian Orthodox Diocese of New Gracanica-Midwestern America, congratulated and thanked the St. George Kolos of East Chicago and Schererville for hosting such a successful Kick-off Luncheon! She then introduced the presidents of these two Kolos, Ljuba Rakonjac from East Chicago and Mara Dobrijevic from Schererville. In addition, she commended and introduced all of the Kolos and their presidents for participating and donating their time, talents, and treasures for this worthy cause: Holy Trinity KSS, St. Louis, President Danica Krosnjar; KneginjaZorka, Lansing, President Vonnie Orlich; KSSKraljica Marija, Cudahy, President Mara Momcilovic; Majka Angelina, South Chicago, Kolo Sisters; Old Holy Resurrection Kolo, Palmer Square, President Ljilja Barac; St. Archangel Michael, Lansing, Kolo Sisters; St. George Kolo, Joliet, President Helen Malinovich; St. George Kolo, Racine, President Desanka Protic; St. Jelena Kolo, Lake Forest, President Richelle Arangelovic;St. John the Baptist Kolo, Bellwood, President Protinica Gordana Bosanac; St. Sava Kolo, Merrillville, President Beba Rudman; St. Sava Kolo, Milwaukee, President Milka Tomic; Sv. PetkaKolo, Third Lake, President Milesa Radovic. 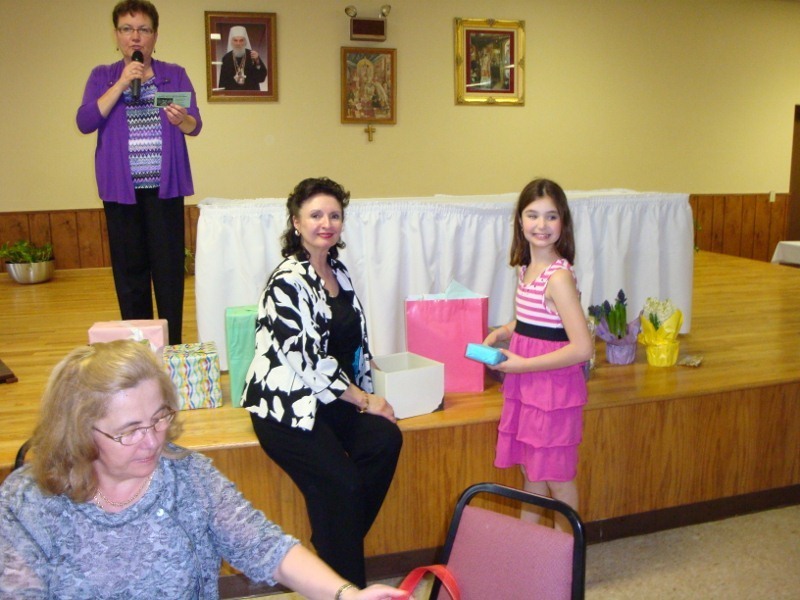 President Mira also introduced her Diocesan KoloExecutive Board Members: Vice Presidents MilicaTerzic, Vicky Petrich Dorsey, Violet Vukotich; Secretaries Donna Marjanovich and Mara Dobrijevic; Treasurer Jane Katich; Financial Secretary, Gordana Tomasevic. ​The Key-note Speaker, a former camper,Kathryn (Seja) Price O’Dell reflected fondly on her experiences at summer camp and how these memories impacted her later life. 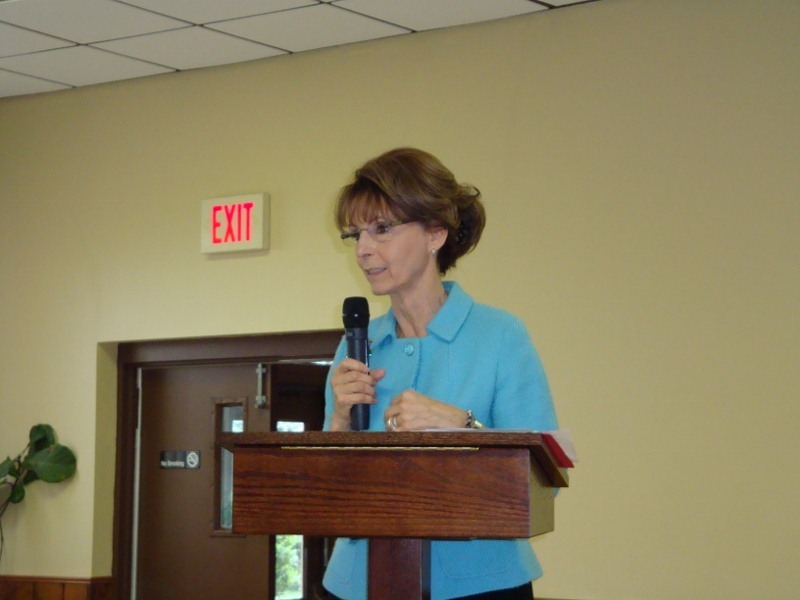 In 2007 Seja was awarded Illinois’ Counselor of the Year and was the Runner-up Counselor of the Year for the National Award. Presently, Seja is a retired school counselor, who still enjoys conducting Parenting Presentations, Private Consultations, and Parent & Teacher Coaching Sessions. Please email her for her availability in addressing your church groups or communities at kathrynodell22@gmail.com. ​Success stories from former Camper and Counselor, Protinica Ana Krosnjar were also shared in the many roles she had played at our Diocese’s Summer Camps. As she spoke of her experiences many people in the audience were nodding and smiling, because they had shared the same experiences, which was a delight to see! Protinica concluded by asking all to stand who have gone to camp as campers, counselors, or workers, proving that once you are a camper in ourSummer Camp Program, you most likely come back to camp as a counselor, worker, committee member, or an attendee at the Kick-off Luncheon! 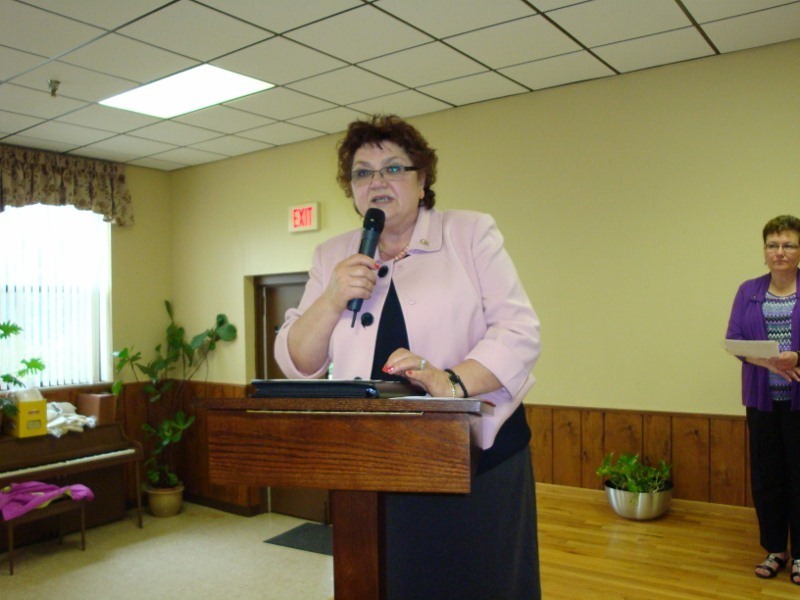 ​The 2012 Camp Gracanica Kick-off Luncheon would not have been as successful without the many individuals and businesses supporting this event. On behalf of our hosts, the St. George Kolos of East Chicago and Schererville, we would like to thank all of the donors of the silent auction items: Debbie Vujko/Lincoln Ridge Funeral Home, Halls of St. George, Sharon Desancic, St. Michael's Church Kolo, Dawn Martinovich, Le French Twist Salon,Party Liquors, Studio 4 Salon Spa, Duda's Imports,Helen Nogulich, DeRosa Imports, Ruza Hiel,Schererville Florist, Mara Dobrijevic, MilesaRadovic, Chicago Bulls/United Center, DusicaCvorovic, City Fresh Market. 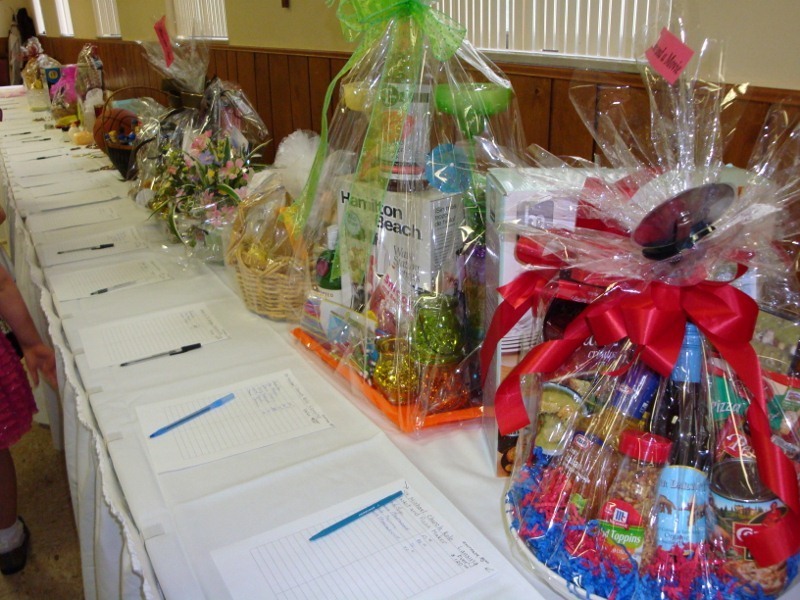 Thank you also to all of the door prize donors and to Sonja and ManeOgrizovich who donated the raffle tickets. An additional shout-out goes to Sonja who was in charge of the very successful raffle! 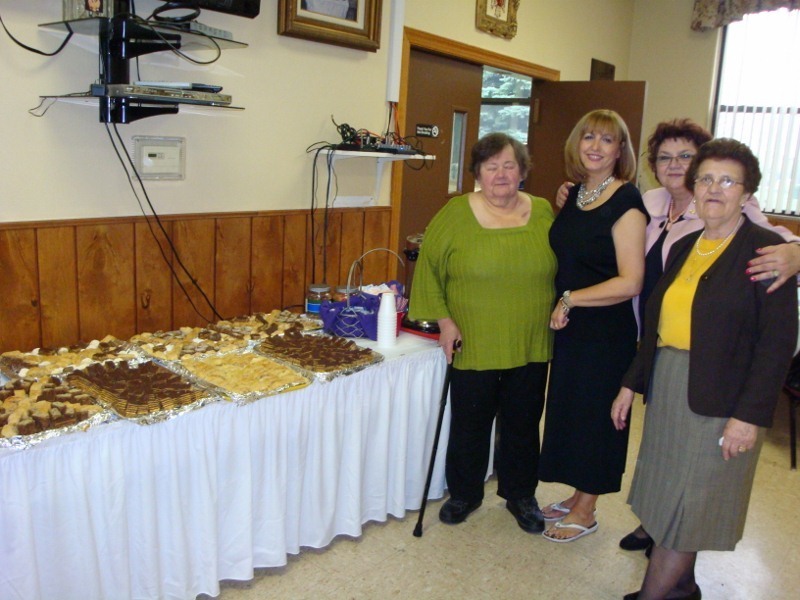 We would also like to thank Donna Marjanovich, Violet Vukotich, Mira Sipich, Slavka Fager, Helen Malinovich, Sharon Decancic and her sister Gordana for their help in setting up and serving the luncheon. Thank you to Ljuba Rakonjac for setting up the dessert table. Thank you to Ilija Katich for serving refreshments and helping transport the gift baskets. Last, but not least, a huge thank you to Protinica Jelena Milunovic, Tijana Samardzija, NevenkaKesich, Debbie Vujko, Mara Dobrijevic, Mirjana Dragojevic, Vojo Dobrijevic, Natalija Tica, Marian Vukas, Stella Necak, Taste of Europe, Sarkey’sFlorist, Cveta Gora, Gordon Foods, and Balkan Imports for their donations and work to make this luncheon a success. Finally, a special thank you to our Camper Krstana Milunovic who wore many hats that day in helping to make this luncheon a success!